I don't want too made up Tripntx either. just wanted to start playing and getting my set up working. One thing to keep in mind with the 223 trim die on once fired brass. It will push the body back in to 223 specs. It wont hurt anything, but its pushing in the part of the case that needs to be pushed out. Let us know what the headstamp reads on the new lc brass. You will get less of a donut or no donut at all if the shoulder is pushed down first with a 222 size die. It has to be pushed down almost perfectly to the spot where it needs to be. Then use the mongoose die. Or just use the mongoose die and blow the body/shoulder out upon firing. Does the expander ball guts need to be removed from the 222 size die? Either way. But I would remove the expander ball. One less thing to worry about. You will still need to trim long because the body/shoulder junction will need to be pushed out. I have never done this converting mongoose brass but I had the exact same problem converting 243 Lapua brass to 6.5 Creedmoor brass. As much as Lapua brass cost I wasn't loose one case lol. The shoulder/body junction looked pretty bad on the first try so I used a trimmed 308 die to get the shoulder down and then sized with CM die. It worked good. I trim to .010" off the wall, your brass will shrink a few thou on the first firing. It will be way short if you trim to min. length before fire forming. Same as any other bottle neck cat formed from a longer parent. With the bolt I used I'm right 1.702 to the wall. That's pretty good. I measured to the wall on some factory guns and the wall could out farther as much as .015 or more. I think I have it figured out now. Things are coming together and I'm starting to be able to step up production a bit. I've been saving up Lake City feed stock for this round since last year (barrel in photo are all LC), and just received another large lot of LC. Can't wait to get a large lot all fire formed and annealed for consistent neck tension and see how is performs with some match grade bullets! You did a good job on the shoulders. Did you push the shoulder down first with a different die? No, just ran them through the sizing die... I had a few that came out less than pretty, but most came out fairly good. Ugly cases need love too! They will iron out when you shoot them. If there are any dents in the body or shoulder of your LC brass, they can crumple a little when you resize them. Doesn't hurt anything. Like I said before... Ugly Cases Matter !! I still have lots of love for my ugly case! They shoot just fine, and come out perfect after fire forming. Do I'm gonna order a custom case trimming gauge from Lee. Should I just order one sized to 1.690? Or would it make sense to get two--one for pre-order in and one for maintenance. Thats the route I went at first, but for a few dollars more you can get a (insert brand) trimmer with multiple pilots to trim any length. I had a lee .243 machined down to 1.690 used it for pre-fireformed brass, it works but cases end up being just a little short after fireform, still work just fine. If you really want the lee though, you could go either way, order one longer for case forming and another for maintance after; or just one for all. Its really up to you. Read the post here, most helpful. 6mm Mongoose is my 1st wildcat. Trim length is what I need most. It would be nice. If someone would post the case schematics for future reference. Been reloading since 2000. And this would be good info. 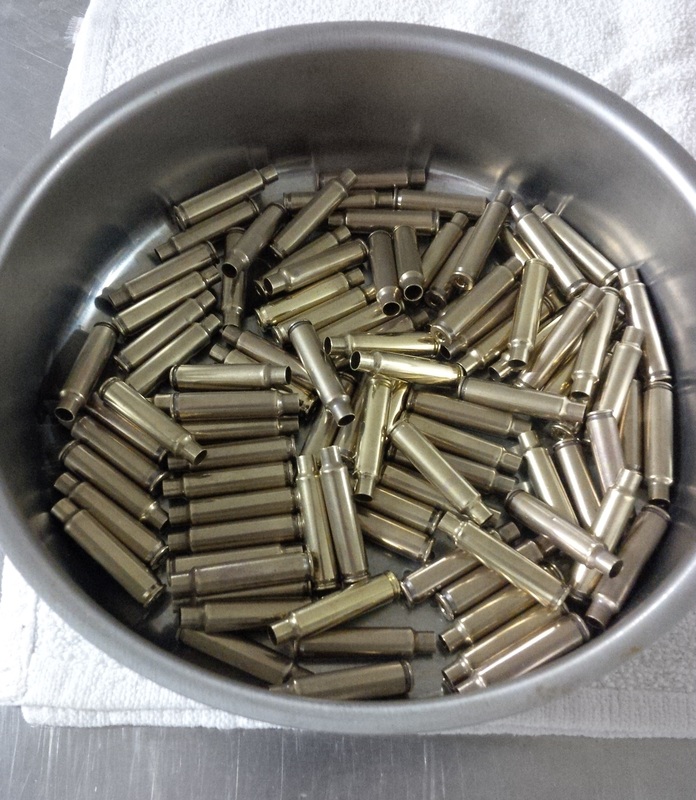 This cartridge is still proprietary - therefore the chamber and case drawings are not released to the public; however - there is TONS of information in the forum on forming brass, reloading, tips/tricks/taps, etc. The 6mm Mongoose is an AWESOME cartridge... punches WAY above its weight class and kicks the snot out of the 6x45 (I have both). Is the same die setting used to 'form' goose brass the same setting used to 'reload' fire formed goose brass? I have had a Hornady progressive press and brass drop that have been sitting new in box for over a year (too much overtime at work the past 3.5 yrs). Finally set up the Hornady AP today, and will eventually start loading 6mm Mongoose on this press. Would like to form and load on the progressive, then clean and reload previously fired goose brass on the progressive without having to adjust sizing die. Personally, I change my die setting when forming new brass. I may be bumping the shoulder a little too much but I want to make sure it chambers. Once fired only gets a 0.002" bump....formed is around 0.006". the setting for new brass and for fire formed brass is different for me. the forming setting pushes shoulder back too far on fire formed brass. I use the comp shell holders and just use one for fresh brass and another with a .002 bump for fired brass. I do the same as Mark, but use .004 difference between forming new and resizing fires brass. Forming new requires taller shell holder (more shoulder setback). That was my original plan, but now I would like to use my new Hornady progressive press with case loader. It will cut down on time, but it uses a shell plate for with 5 stations instead of individual shell holders. My plan is to load 50 rounds for fire forming just to make sure everything works as expected. 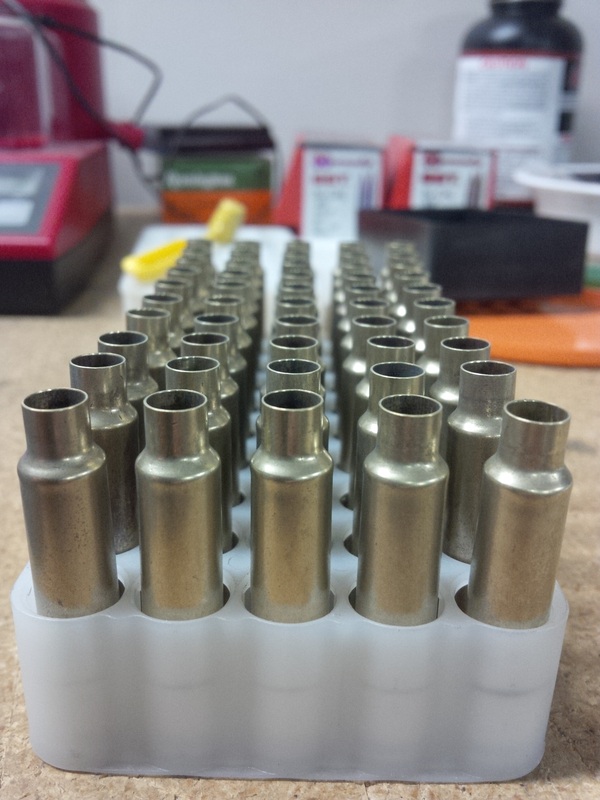 1) purchase another 1,000 cases to form before changing sizing die position for normal reloading, hoping 2,500 cases will be good for the next several years? 2) purchase a second set of dies.Leave first sizer permanently setup for forming, while second sizer die will be setup normal reloading? I spent so much time tonight adjusting sizer die to form initial brass, that I don't want to change sizer die again. 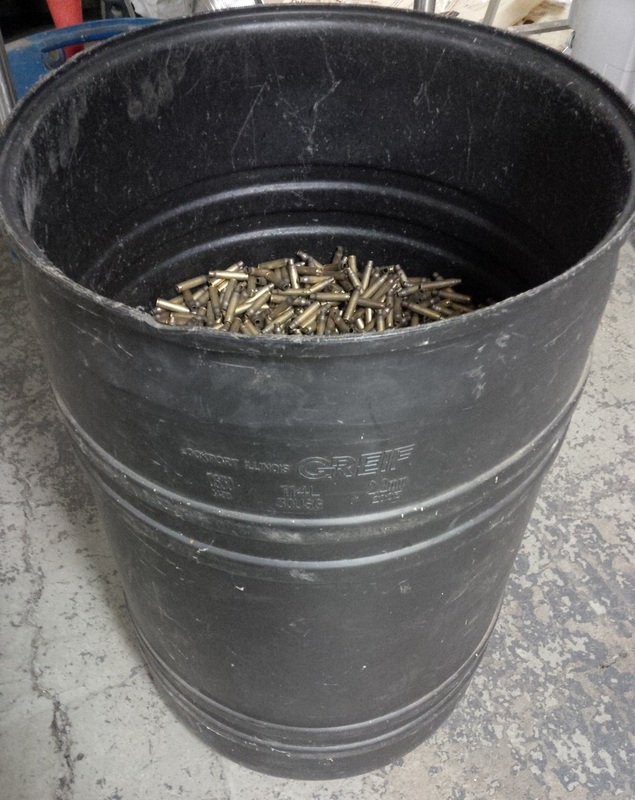 Found 1,000 new LC brass at Graf's for $125.91 with $7.95 shipping. Just ordered another 1,000 new brass for the goose. Still might order a second set of Mongoose dies. I personally would run 2 dies if you have space. "...but I'm feeling much better now."